With so many free themes available in WordPress depository then why on the earth would you ever pay for Premium WordPress themes? That’s one among the few basic questions for every beginner coming to WordPress. The major reason being that premium WordPress themes have more features and customization options compared to their free versions. As a customer, we are always looking for user-friendly WordPress templates that have tons of features like- classy layouts, templates, colors and many more. But free themes are very limited when it comes to freedom. Moreover, as a premium theme customer, you will find dedicated customer support upon facing any difficulties while using it. All in all, there is a multitude of reasons to keep distance with the alluring free themes and to choose a premium theme for your WordPress site. 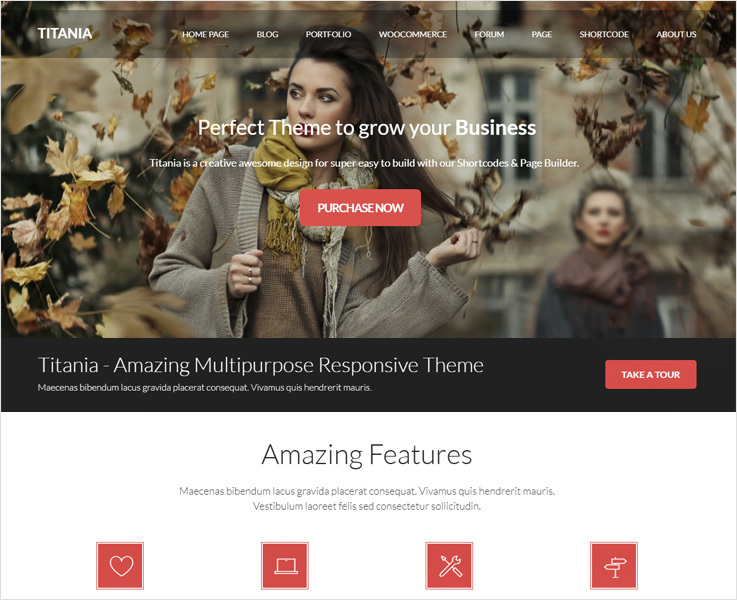 Titania is one of the versatile, easy and multi-purpose WordPress themes, with tons of functionality and flexibility. It’s fully responsive towards every screen sized mobile device. It is suited for every business, shops, and individuals. It’s time to talk about features. Titania has a large number of Shortcodes to add various functionalities to your post, pages, and widgets without doing any coding. You can give pleasant look to your website with parallax background. Titania is fully loaded with useful plugins like WooCommerce, bbPress, BuddyPress and more for your better experience, and supports Google fonts and provides 16 homepages possibilities. 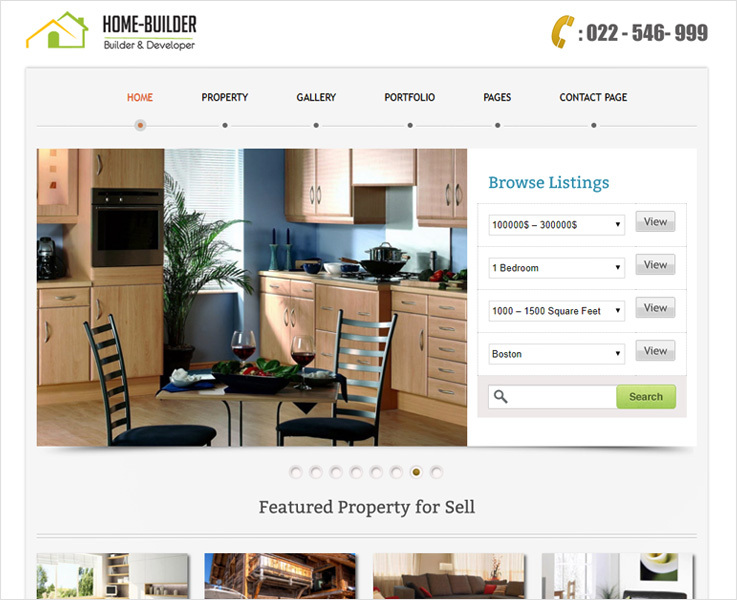 Home Builder is one of the best WordPress themes for real estate agents that allows you to showcase your properties as well as to manage them also its functionalities help to engage more user, collect lead and many more. Its features allow you to search locations for your property according to your choice. 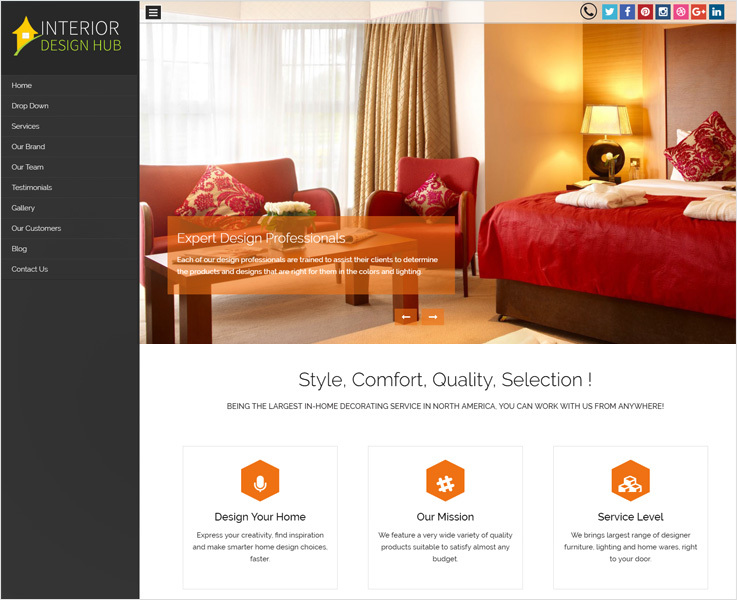 You can place the most attractive property theme on the top of your website. The theme is self-hosted so that if you publish any new property it automatically gets listed accordingly. It has a navigation slider so that you get to know what the user is exactly looking on your website. BlogsSpring is the best premium WordPress blog theme with a modern twist in its design. If you are looking to build a website for an online magazine, article, news, then look no further. The reason to choose it because of its numerous functionalities and flexibility. 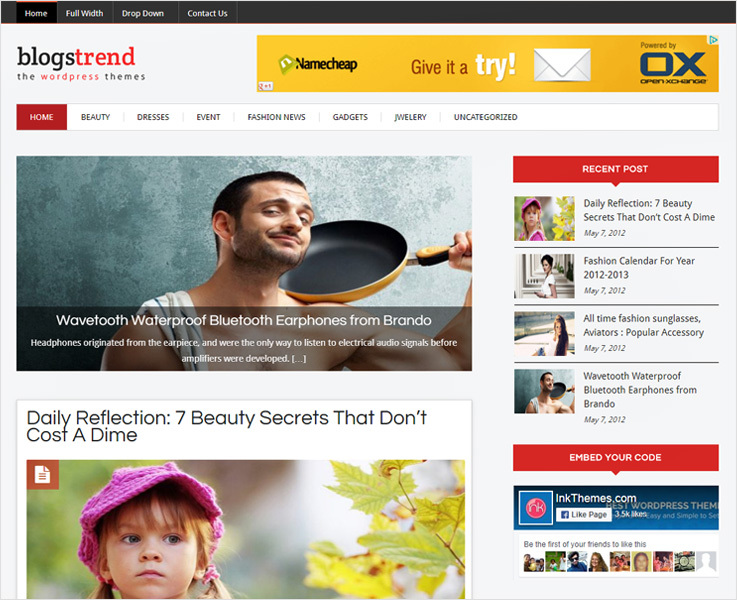 This theme is the complete solution both for creating a news website and magazine website. It has all the features that you need exactly to create a professional and stylish news blog website. Look at these several features of its which will help you to choose BlogSpring. BlogSpring is a fully responsive WordPress theme. You can link the author ID by providing social network links. Also, people can share their blogs, articles, and thoughts socially i.e., via Facebook, Twitter, Google+, LinkedIn. Share your latest post and popular new with its three-column layout. This premium beautiful one page WordPress theme gives a simple and stylish look to your business website. Its responsive layouts and clean features help you create a stunning website in a stroke. Its plenty of functionalities are simple to use. It has awe-inspiring slider image section is only what you see in the image above. Why not hit the demo button and get a better view. 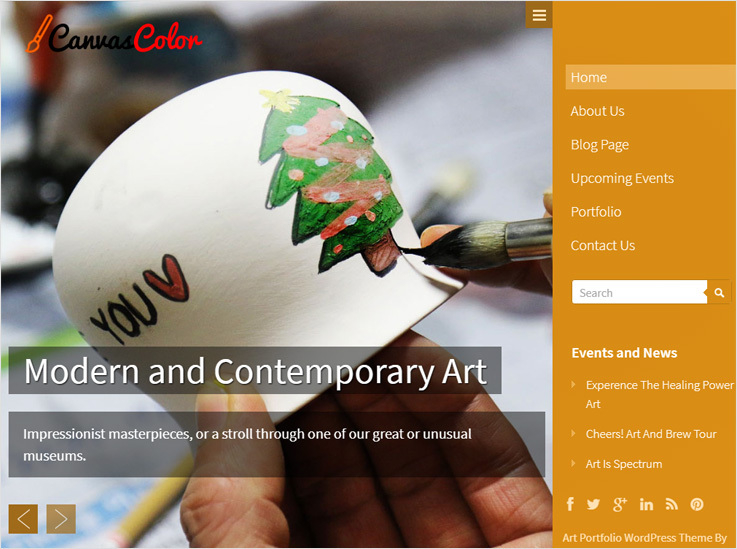 Canvas Color is among the top most premium art portfolio WordPress themes that come with freshly designed templates. Its background and photos really make the theme beautiful which shows you how the couple images make the theme different from others. This theme is an excellent platform to show the artwork skills & ideas of artist, designers, portrait maker & many others. You can create a beautiful portfolio design with this theme to center the attention of your audience and make your own identity. The theme has got a full-screen slider with wave scrolling effect. Through its dynamic sidebar, you can show or hide the features. Share your blog post in different ways through image, art gallery, videos, and many others. 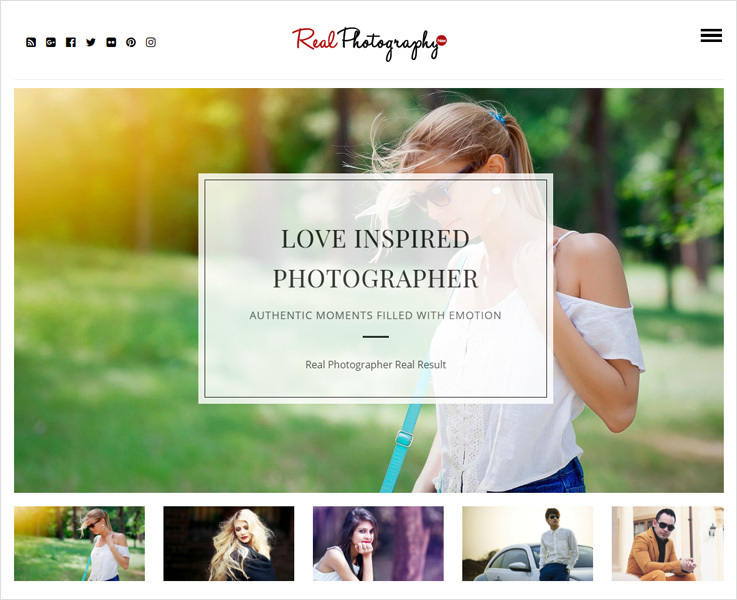 Real Photography is the premium photography WordPress theme with a vintage touch in which your pictures look more beautiful. 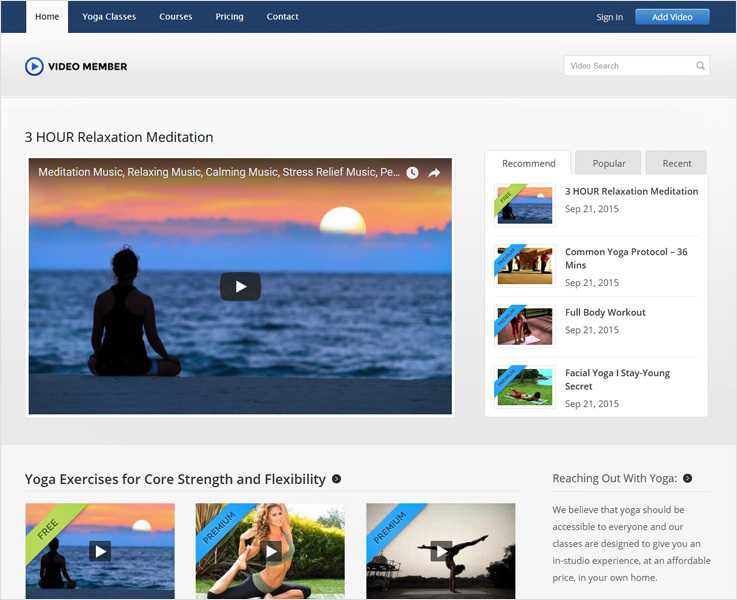 The theme is responsive in all media and is completely SEO optimized. This premium template has an amazing portfolio to showcase your eye captivating pictures, 3D images, collage etc. Its prominent features make it more perfect and attractive. You’ve got 9 different color options are available to give your website more pleasant look. Real photography is WPML compatible. It is fast loading, and fully SEO optimized. Blogstrend is the highly responsive food blog WordPress theme which is freshly designed and developed for publishing the magazines and blogs and sharing your food recipes. It is the premium responsive WordPress theme and complete solution to create an online food business website. BlogsTrend has tons of features and functionalities needed for every blogger and writer. 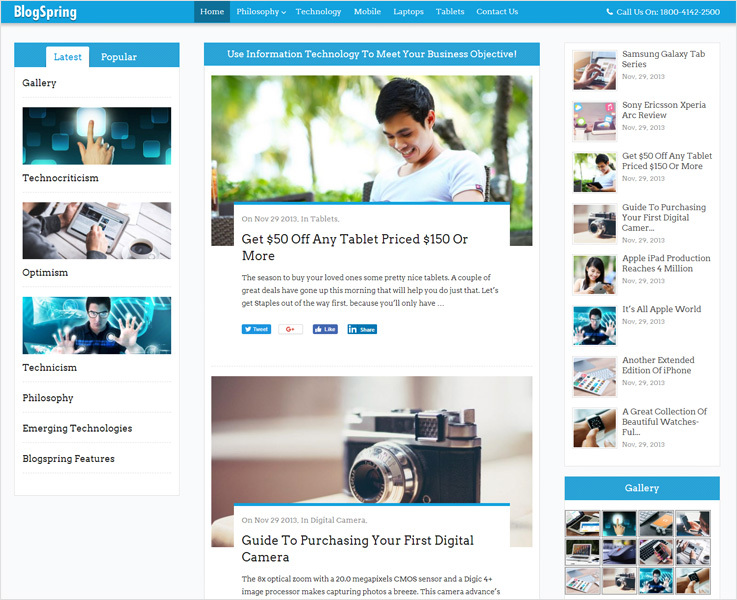 The theme has plenty of color styles and fluid layout which gives accessibility feature on technology. This theme provides valid HTML5 code for consistency in web pages, cleaner markup etc. The best part about this is it is easy and simple in use. The right choice is the clean and excellent job board business WordPress theme to create a directory website for job seekers, consultancies, and placement agencies. The theme has templates for all the necessary pages of recruitment related things like job category, employers details, hirers etc. 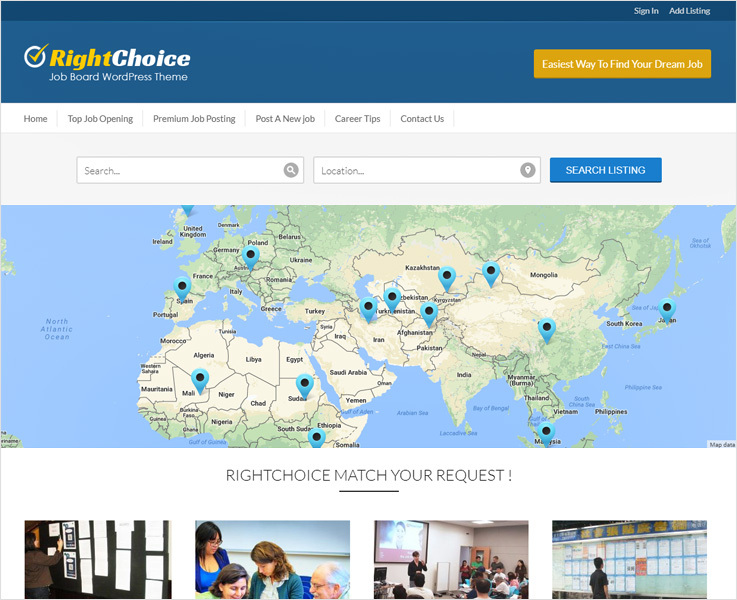 Right choice helps to provide the job seekers their desired job and location. Online form submission options are also available for the interested candidates. The template allows the customer to track the applicant’s details if they are interested to apply through Google map. This allows you to create free/paid business lists. Seven color schemes are available to give your website more attractive look according to your choice. It has valid HTML & CSS code. Custom loader and favicon uploader through which visitors can find the things easily which they are looking for. 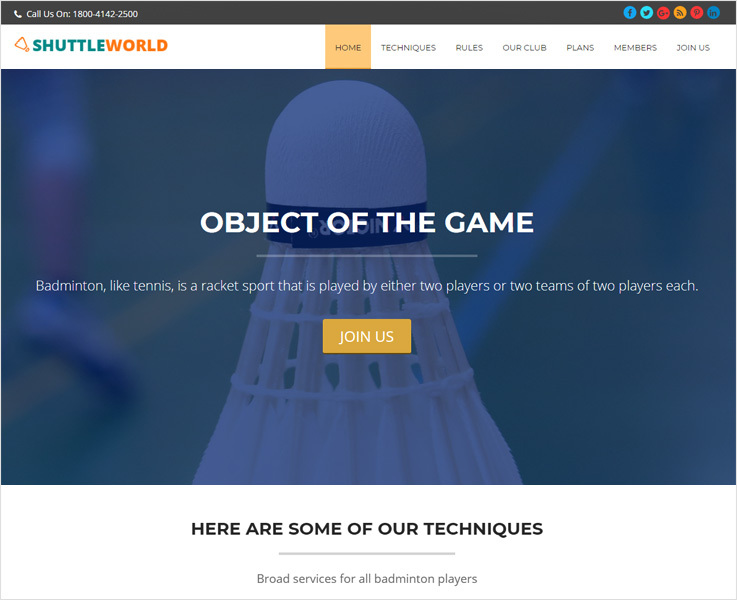 To begin with, this well structured and beautiful WordPress theme gives you the fast and perfect online badminton association website. The theme has been designed to help you construct an excellent looking site for various sports services like Badminton Club, Sports center, summer Olympic and many other. Shuttle WordPress theme is the one-page page where you can put all your sports details in one place. You can also regularly update on your website the sports news, articles, images, videos etc. It offers you unlimited customizer color option, google font integrated, hexagon portfolio gallery where you can give your website a stylish look. Its plug-in compatibility provides better functionalities. Through its Masonry blog layout, give your website cleaner and organized. When you are planning to build a website platform website Video member can be the right choice. It is one of the best video themes where you can share all type of videos, movies trailer, games, videography techniques and many more. Video member is the right choice that meets all your requirement to create a video selling website. Its features allow you to add unlimited video contents. Set the subscription period to your choice. This theme gives you the option to select the currency mode as per your requirement. Videomaker is integrated with PayPal payment methods. It supports MP4 & FLV video formats and videos are embedded through Youtube, Vimeo, DailyMotion & MetaCafe. This is the lists of top customizable and user-friendly Premium WordPress theme. Among these themes, you are sure to find what you need exactly to create your own website.